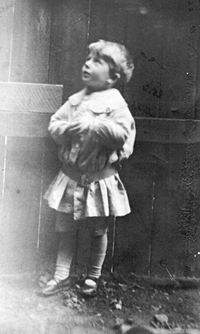 Cyril was born on 13th February 1907 at 21 Hawthorn Road, Willesden and was registered on 26th March 1907 at Hendon District. 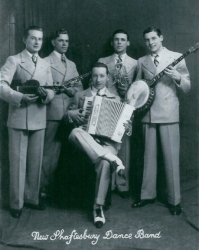 Cyril was the eldest of three children. Vera Frances Watters was born in 1910 and Joan Edna Watters in 1922. Census 1911 shows Cyril aged 4 living at 22 Villiers Road, Willesden. 1919 - Age of 12 sought to produce an operetta. Composing the words and music and played with the aid of his sister Vera’s dolls and household props played to an audience of family and friends. Educated at William Ellis Endowed School, Gospell Oak, N W London. The school motto was ‘Rather use than fame’. The school is still in existence but has moved. Cyril is included in the schools’ World War II roll as a leading Aircraftsman, Royal Air Force. William Ellis was a public-spirited businessman who, in the mid-nineteenth century, founded a number of schools and inspired many teachers with his ideas on education. He wanted children to be taught ‘useful’ subjects such as science (including ‘Social Science’) and to develop the faculty of reason; his approach differed from many other schools of the time that focused on religious tracts, ancient languages and history. William Ellis School, the only one of his schools that still exists, was established at Gospel Oak in 1862 and reorganized in 1889 as a boys’ secondary school. December 1921 Honour The Tower of London, A Historical Romance by W Ainsworth. I remember him saying that he matriculated. He was a keen cyclist and went on many tours at this time on his own all over England collecting postcards. He was also a keen tennis player. Another hobby was football and he supported Chelsea along with his father for the rest of his life. In 1935 he joined the Almora Table Tennis Club and played most weeks. He was presented with a silver tray in 1976 for his good work with the club. 1937 At about this time Cyril owned an old Austin 7.